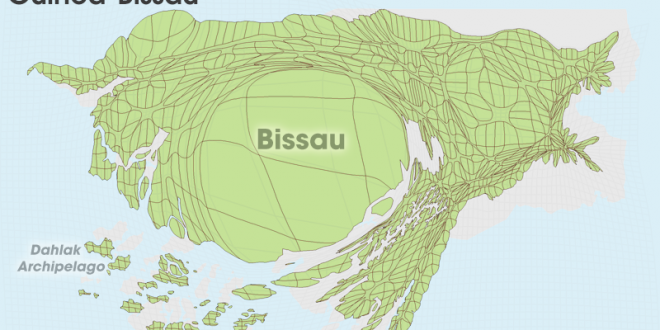 This map is a so-called gridded population cartogram. This cartographic technique was developed by Benjamin Hennig building on Gastner/Newman’s density-equalising cartogram algorithm. 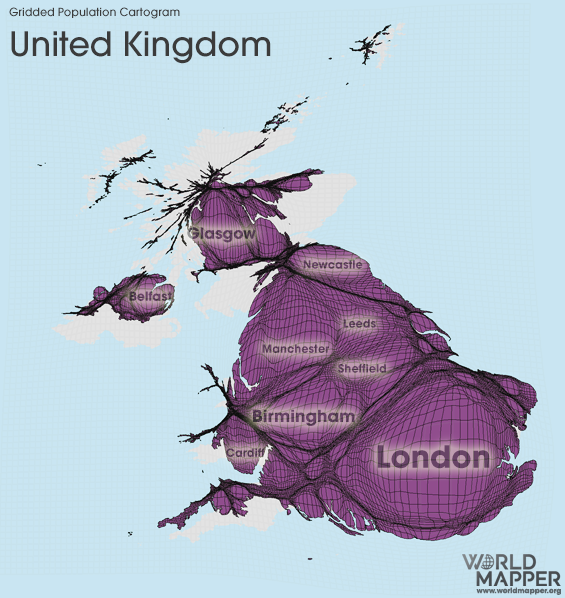 A gridded population cartogram can be seen as being an equal-population projection where each area is proportional to the number of people living there. 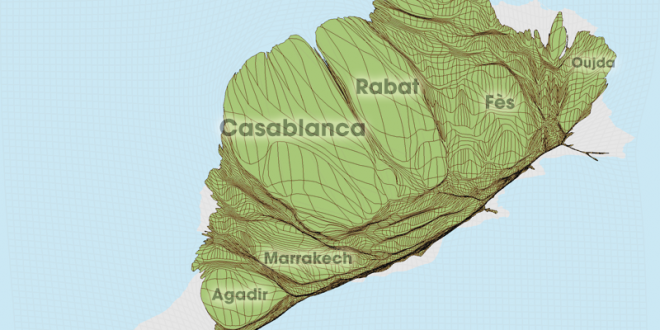 Unlike conventional cartograms, this type of map does not rely on (arbitrary) administrative boundaries to be drawn, but uses a regularly distributed raster of equally sized grid cells as the basis for the cartogram transformation. This results in more abstract shapes, but provides a more detailed and more precise picture of the topic mapped. The most significant obstacle to the realisation of gridded depictions of data such as population is the availability and reliability of data, especially in those parts of the world where regular censuses or other population counts are not conducted. 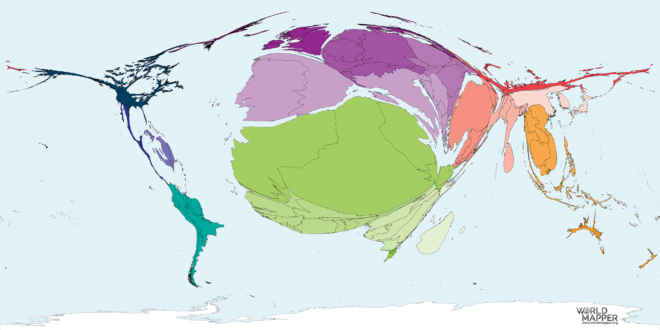 Gridded population cartograms help us better understand internal variation in the distribution of people within countries in their quantitative dimension. They can also be used to map other topics on top as choropleth maps, so that these topics can be understood from a people’s perspective. 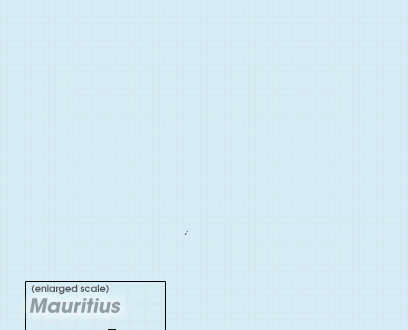 Each transformed grid cell in the map is proportional to the total number of people living in that area. This map uses data from the Gridded Population of the World (GPW), v3 at 2.5 arc minute resolution, released by SEDAC (Socioeconomic Data and Applications Center) (accessed January 2012).